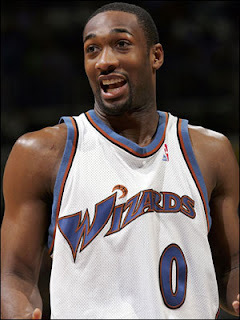 Gilbert Arenas was a potent scorer in his prime before injuries and the infamous gun incident that derailed his career. He was picked 31st overall by the Golden State Warriors in the NBA draft, who around that time, were consistently one of the worst teams in the league. Arenas came into the league with a chip on his shoulder. Although he didn't immediately have a strong impact his rookie year, he showed flashes of greatness, averaging 11 points per game, 4 assists per game and 2 steals per game on 45% in only 25 minutes per game while only appearing in 47 games in which he started 30. Not bad for a 2nd round rookie. His sophomore year was when he was given an expanded role and he let the league know that he arrived. Putting up averages of 18 points, 6 assists, 5 rebounds, and 2 steals per game, this jump in production was good enough to garner Arenas the most improved player for the 2002-03 season. After that, he was a free agent and decided to take his talents to the Washington Wizards, where he had the best years of his career. The 1st injury shortened year was solid however, as he averaged 20 points, 5 assists, and 5 rebounds per game, but he also shot below 40% from the field and averaged 4 turnovers per game, so there were some issues with him being the guy initially. 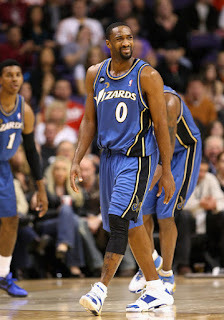 Then the 2004-05 season came and this was the start of Arenas being a force in the league. He averaged 26 points, 5 assists, and 5 rebounds per game, which was good enough for his 1st all-star appearance, and the Wizards 1st playoff appearance in 7 years. 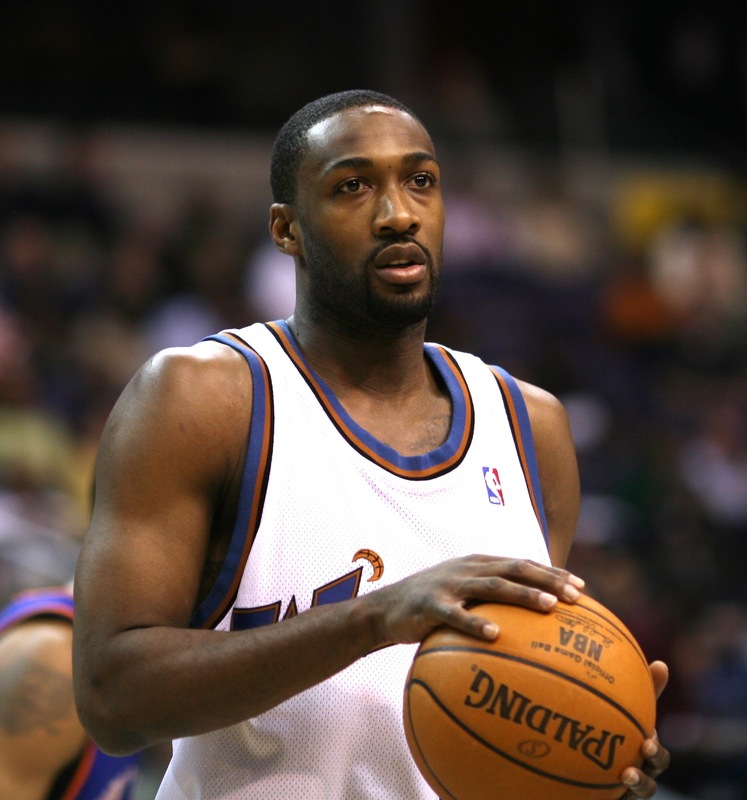 Although they were eliminated by Lebron in the playoffs (this was a solid rivalry for a few years), Arenas would springboard off that success into the best season of his career. 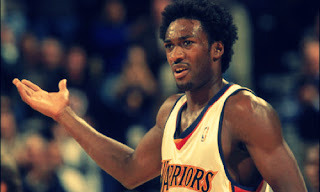 Averaging 29 points (good for 4th in the league), 6 rebounds, and 2 steals per game, including a career high of 60 against the Lakers, Arenas was a scoring machine and was relatively impossible to guard or contain the entire season. Unfortunately, an early 1st round exit overshadowed that he was dominating that entire season. He then followed up that season wit 28 points, 6 assists, 5 rebounds, and 2 steals per game. 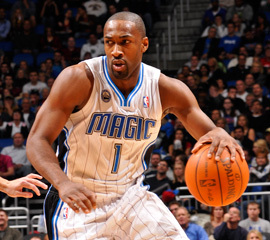 Unfortunately, this would be the last of a healthy Gilbert Arenas. Knee injuries in back to back seasons only limited Arenas to 15 games in a 2 year period and he was never able to recover to be the dominant scoring machine that had the Wizards as one of the most exciting teams in the league. However, for when the 2009-10 season came, Arenas actually showed glimpses of being that guy again averaging 23 points, 7 rebounds, and 4 assists per game in 32 games, then his incident with Javaris Crittenton transpired and Arenas was suspended for the rest of the year and his legacy would forever be tarnished. Although he did have a few more NBA stops in Orlando and Memphis, it wasn't the same as it looked like the injuries and the stress from the incident wore on him and he wasn't nearly as dynamic averaging less then 10 points per game in both stops. However, his career highlights are forever relevant and memorable. 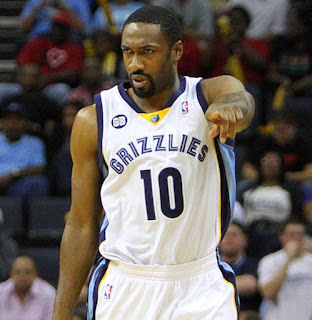 In closing, there was a 3 year stretch where Gilbert Arenas was one of the most feared players in the league and he was a lethal scorer. Not too many players could hit the 3, post up, beat you off the dribble, score in traffic around the basket, and hit the mid range, but Arenas had it all offensively. Not too many players can say they had 26 40+ point games and 3 50+ point games in their career. If not for the injuries and gun incident, Arenas was on track for a hall of fame career. Despite that, he still averages 21 points per game for his career and it's just unfortunate that at age 26, severe knee injuries derailed him because the average prime years in the NBA are around your late 20's and early 30's. Regardless, I'm thankful living in Maryland that I was able to see Arenas put on a show in a Wizards uniform and witness his greatness firsthand.